Ten years ago Manjul Mitteri (Baraili), of Morang, announced he would donate 1000 stone statues to the state. But for the past one and a half years Manjul has been committed to a different project: building the world’s largest sculpture of Buddha, in Japan. “Once upon a time, with his remarkable craftsmanship Arnico​, earned Nepal international fame. 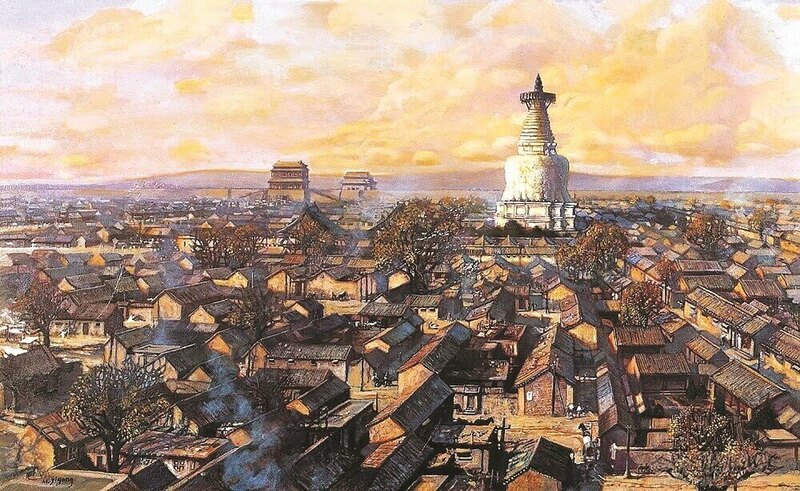 Centuries later, we have the same opportunity again,” said Manjul, who himself has been called a ‘modern-day Arniko’ since news broke of his involvement in the world’s tallest Buddha statue. Japanese hotelier and social worker Osima Sikuzi found out about Manjul through Nepali engineering students in Japan, and approached the artist, with plans to build seven statues of local deities, including the 65-feet-tall statue of the ​Buddha. 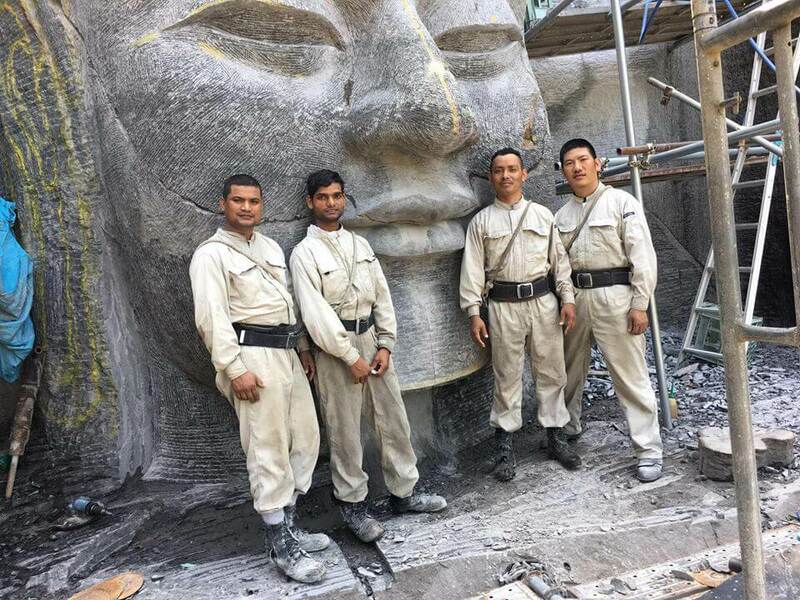 Three other Nepali sculptors, Biswokarma, Ramchandra Pandit and Ganesh Rai (pictured), ​are working day and night to carve the statues into a cliff at the famous tourist district of Kumamoto, 90km outside Tokyo. 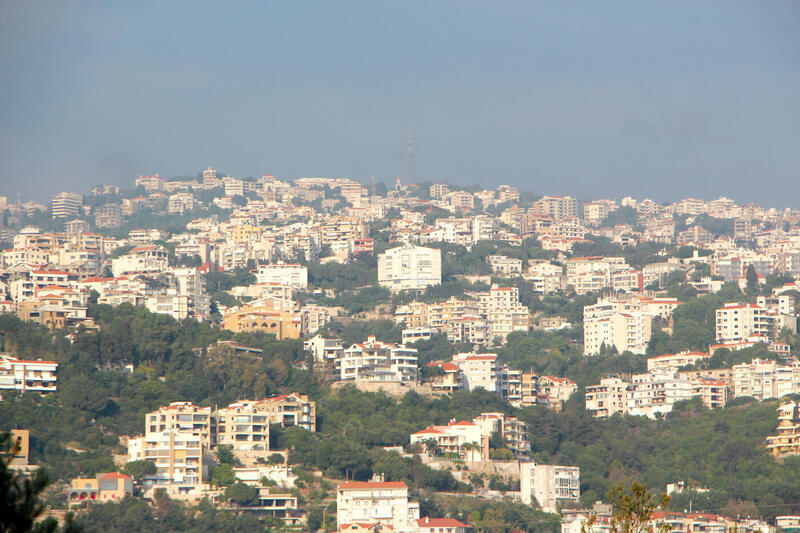 The project is 30% done, and will take another six years to be completed. 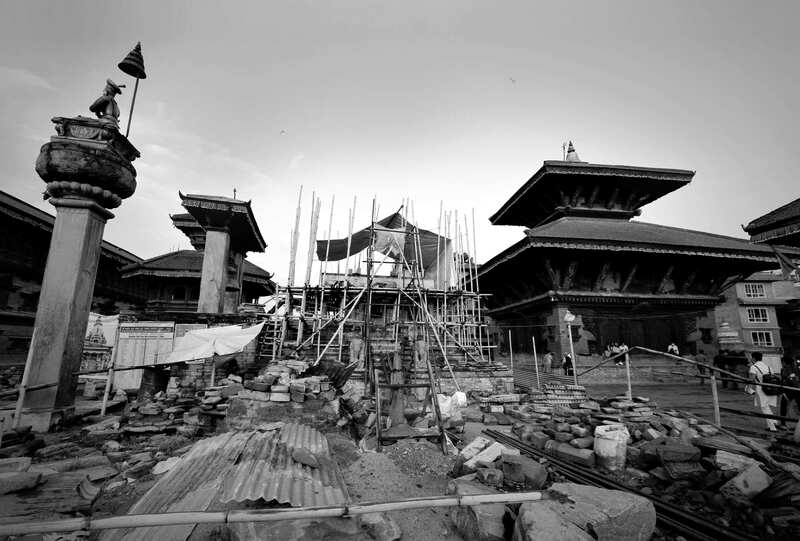 Despite the challenge, the Nepali sculptors are glad to be a part of the historic project. But their work often reminds them of Nepal’s unused potential. Tall​ cliffs, abundant natural resources, and home-grown talent makes Nepal a better site for such construction. “But, unfortunately, politicians employ Chinese artists for large-scale projects,” said Manjul, who recently returned to Nepal for his ​holidays. Meanwhile in Nepal his wife Kausila, also a professional sculptor, is helping sculpt the 1000 statues he promised at home. While they haven’t progressed as much as they would have liked, due to a lack of funding, the couple have opened the Urlabari Statue Museum with local support. So far they have sculpted statues of 150 famous personalities. Once Manjul is back from Japan for good, the artistic couple plans to work together to achieve their ultimate goal. “We will surely gift 1000 statues to the state, and make our dream come true,” said Kausila.